My heart has been set on making a fresh watermelon margarita for days and days. I’m so glad I finally gave in to my craving because these are perfection! Super easy too. Fresh watermelon cubes blended with margarita mix (alcohol already added). Simple right? Rim the glasses with a little lime juice and salt. Strain the watermelon mixture, pour over ice and you’ve got yourself what might be your new favorite summer drink. 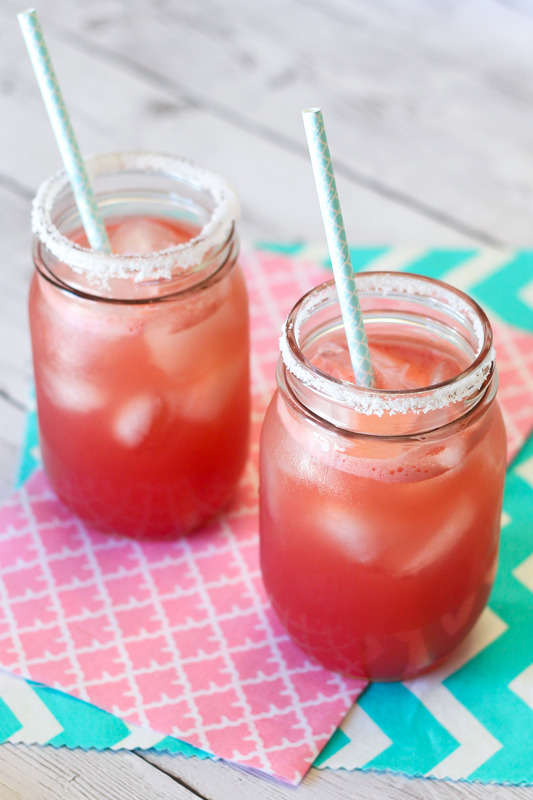 Bring on the watermelon margaritas! Rim 2 glasses with juice from lime and dip in sea salt. Set aside. 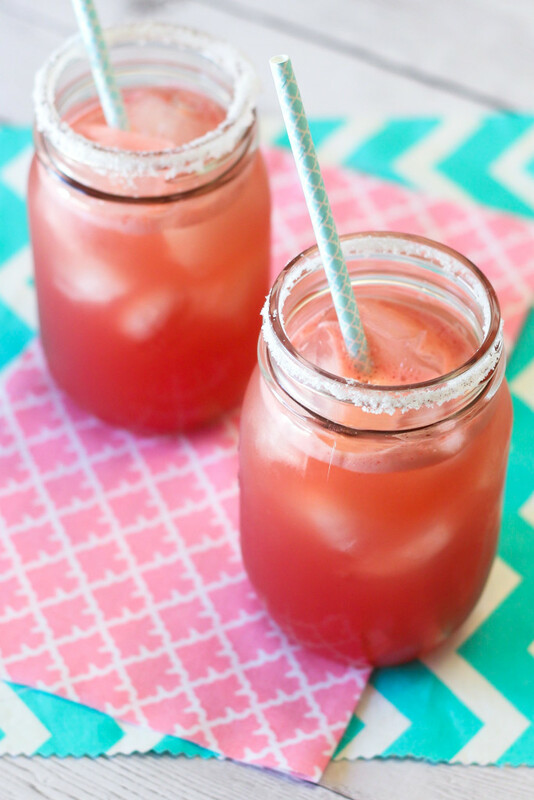 In high-powered blender, add watermelon cubes, margarita mix and maple syrup. Blend on high 1-2 minutes, until smooth. Pour mixture through fine mesh sieve to remove watermelon pulp. Fill prepared glasses halfway with ice. Pour watermelon mixture over ice and serve. *If you can't find margarita mix with alcohol added, simple use 1 cup margarita mix and 1/2 cup tequila. « gluten free vegan strawberry ice cream sandwiches and so delicious giveaway!